New data from the Department of Commerce and the U.S. International Trade Commission show the amount of raw asbestos imported to the U.S. nearly doubled from 2015 to 2016. The federal organizations estimate 705 metric tons of raw asbestos was imported last year — a significant and alarming increase from the reported 343 metric tons imported in 2015. The data was first obtained and analyzed in a study by the Asbestos Disease Awareness Organization (ADAO) and the Environmental Working Group, two leading advocacy organizations. Asbestos, a known carcinogen, is highly regulated but still used in the U.S., mainly by the chloralkali industry, which uses asbestos diaphragms in its chlorine manufacturing process. It is also found in imported clutches and brake linings, gaskets, cement corrugated sheets and other products. Mining asbestos in the U.S. is illegal, and the last domestic production of asbestos products ceased in 2002. 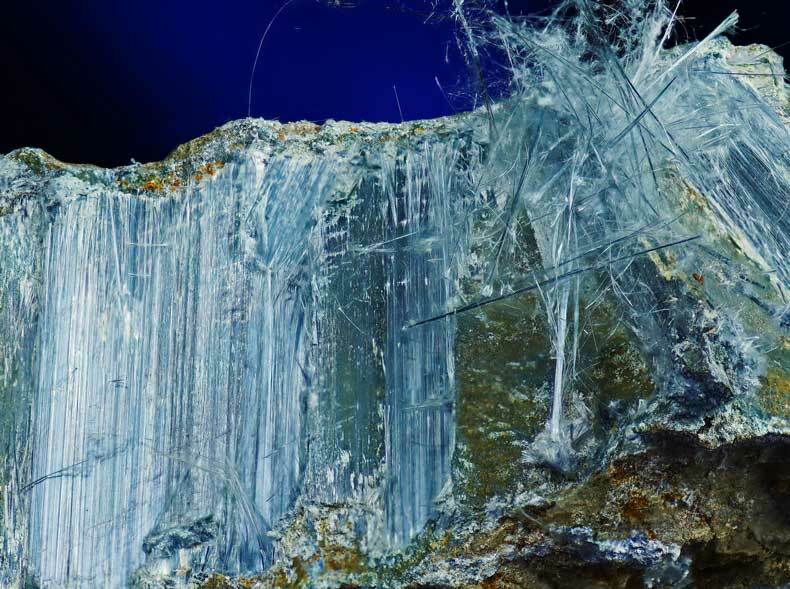 But despite more than 60 countries around the world having comprehensive asbestos bans, the U.S. continues to import the toxic mineral in large quantities. The surge in asbestos imports is attributed to the revamped Toxic Substances Control Act (TSCA), which recently included asbestos among the top 10 dangerous chemicals the U.S. Environmental Protection Agency (EPA) must review. Under the reformed, bipartisan legislation — passed in late 2016 — the EPA can complete an in-depth review of asbestos, which could eventually lead to a comprehensive ban. However, risk evaluations could take years to complete, and the legislation allows two years to mitigate a hazard once it’s deemed an unreasonable risk. Furthermore, anti-asbestos advocates fear the changes to TSCA could fall flat under the Trump administration and EPA head Scott Pruitt. In June, the Pruitt-led EPA released a series of limitations on TSCA rules, including how broadly the agency will review potentially hazardous substances, including asbestos. Environmental groups and congressional Democrats particularly fear the appointment of Nancy Beck as the EPA’s deputy assistant administrator and the nomination of Michael Dourson to lead the agency’s Office of Chemical Safety and Pollution Prevention. Before joining the EPA in April, Beck served as the senior director at the American Chemistry Council, the chemical industry’s leading lobbying group. Dourson is a toxicologist who specializes in environmental risk assessment, but much of his research has been funded by varying chemical interest groups: American Petroleum Institute, Beck’s American Chemistry Council and the American Cleaning Institute. If appointed, Dourson would regulate the same industries that financed his research. Critics fear under this leadership, safety standards for chemicals and pesticides would weaken, putting the American public at risk. Reinstein noted the chloralkali industry is lobbying hard for a “safe and controlled use” exemption from any forthcoming TSCA regulations. According to a recent report from the U.S. Geological Survey, global production of asbestos is likely to remain steady at an estimated 2 million metric tons each year. In 2016, roughly 95 percent of asbestos imported to the U.S. came from Brazil. The remaining 5 percent came from Russia, which leads the world in mine production with 1.1 million metric tons each of the last two years. China is second with 400,000 metric tons while Brazil is a close third with 300,000 metric tons in 2016. Of the top five producers of asbestos, only Brazil and Kazakhstan saw a reduction in mine production from 2015-16. Around the world, asbestos-cement products remained the leading market for the toxic mineral, especially in developing countries. In the U.S., the chloralkali industry remains the top user of asbestos imports. U.S. Geological Survey. (2017, January). Mineral Commodity Summaries, January 2017. Asbestos Disease Awareness Organization. HTS – 2524: ASBESTOS Customs Value by Customs Value for ALL Countries. Asbestos Disease Awareness Organization. (2017, September 19). Press Release: After Years of Decline, Asbestos Imports Nearly Doubled in 2016. Amarelo, M. (2017, August 14). Environmental Groups Sue Trump Administration Over New Rules That Will Make It Harder to Protect Against Harm From Toxic Chemicals. United States Environmental Protection Agency. (n.d.). U.S. Federal Bans on Asbestos. Khimm, S. (2017, September 19). Democrats Target Trump EPA Pick With Chemical Industry Ties. Snider, A. (2017, June 22). EPA staffers, Trump official clashed over new chemical rules. Benesh, M. (2017, May 2). The Scariest Trump Appointee You’ve Never Heard Of. Shesgreen, D. (2017, September 13). Trump's controversial EPA nominee faces sharp questions over ties to chemical industry.